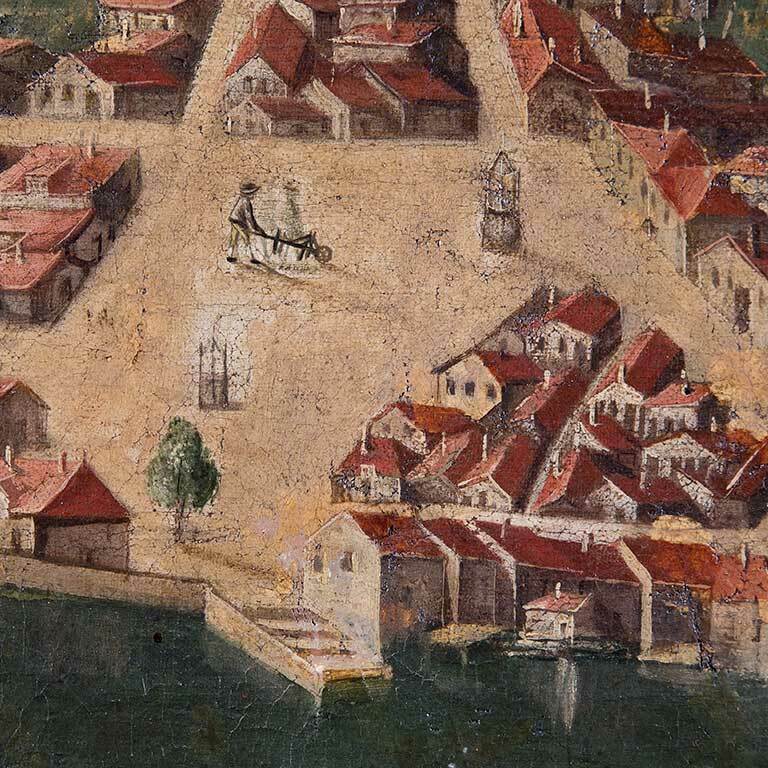 From the Middle Ages, this square was part of the merchant area that spread out around Battant Bridge, on both banks of the Doubs. The butchers’ market was along the riverside, and its facade, rebuilt in 1716, can still be seen at No. 5, rue des Boucheries. This square has had several different names over the centuries; in 1904 it was named Place de la Révolution and it has kept that name since then. 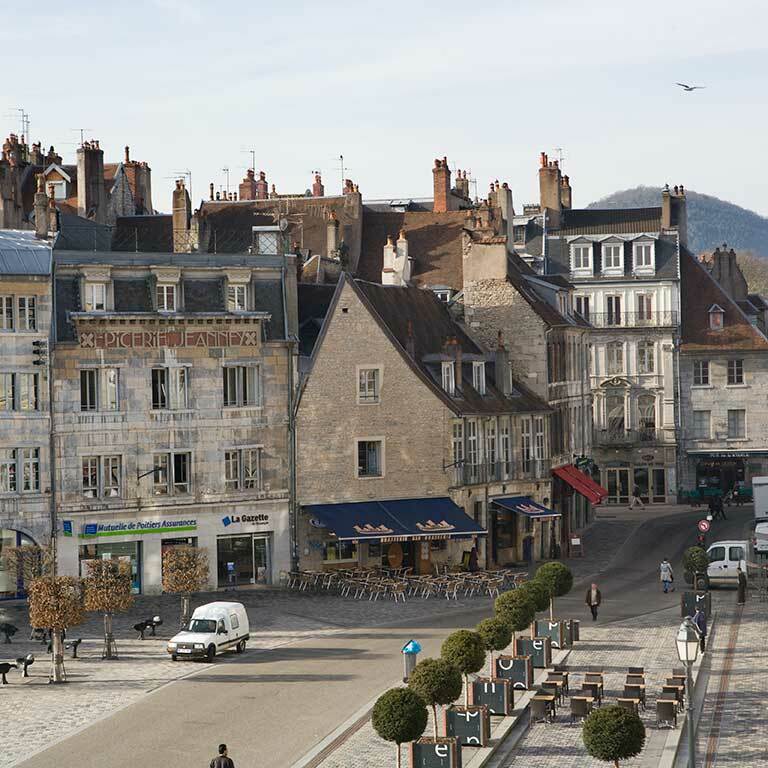 However, Besançon locals still like to call it Market Square (Place du Marché), because, here, following tradition, there is an open-air market three times a week. 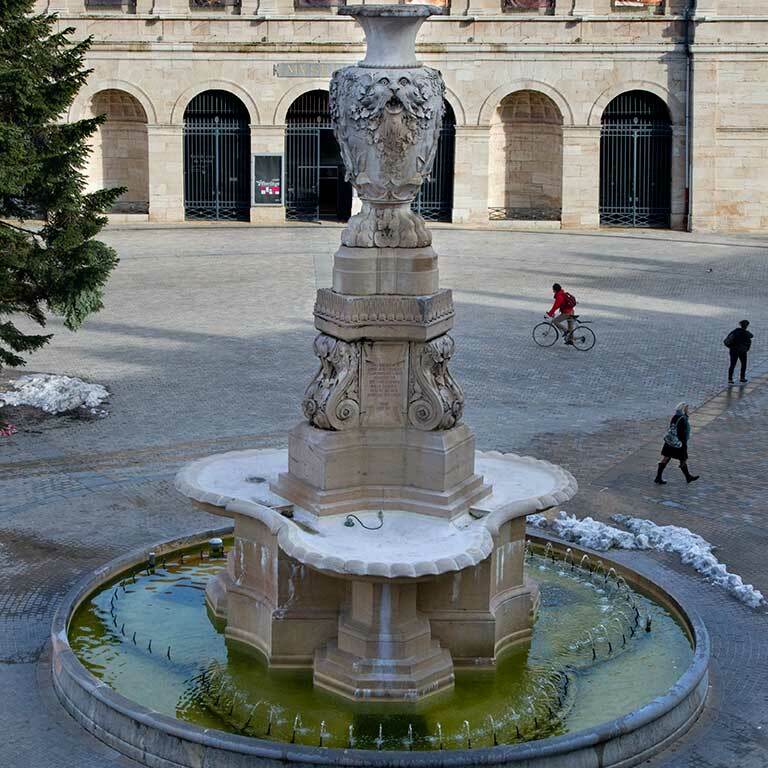 The massive fountain that decorates the square was recently moved because of major works done on the square. It was designed and built in 1854 by the architect Alphonse Delacroix. It commemorated the major water supply connections that were built to provide water points throughout Besançon in the middle of the 19th century.